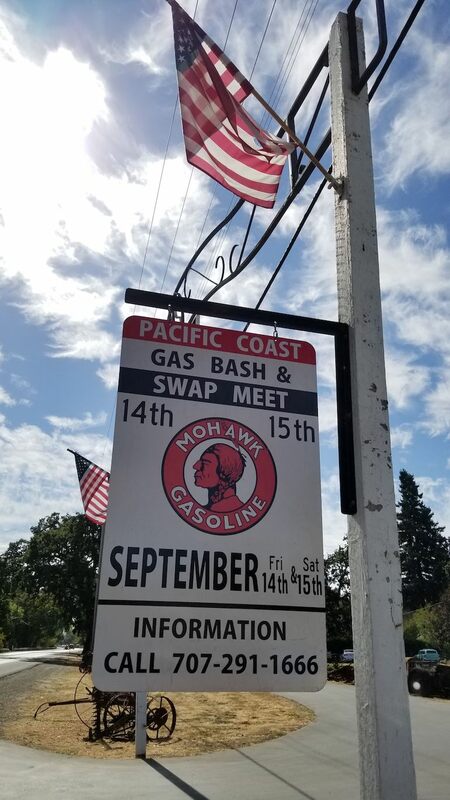 Cooler fall temperatures and sunny weather offered the best conditions for a large gathering of dealers and buyers at the 2018 Pacific Coast Gas Bash yesterday and today. The Pacific Coast event is located at Stokes Ranch in Santa Rosa. 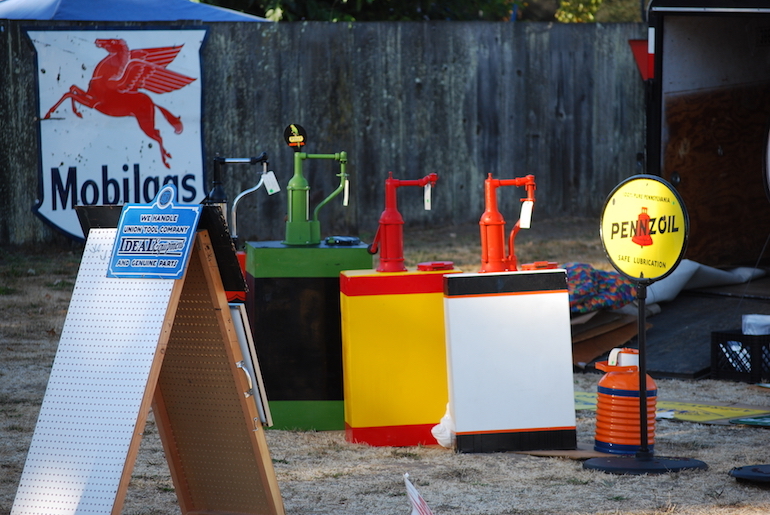 Restored vintage bulk oil dispensers reflect the first rays of sunlight during the setting-up period on Friday at Stoke’s Ranch for the Pacific Coast Gas Bash and Swapmeet 2018. 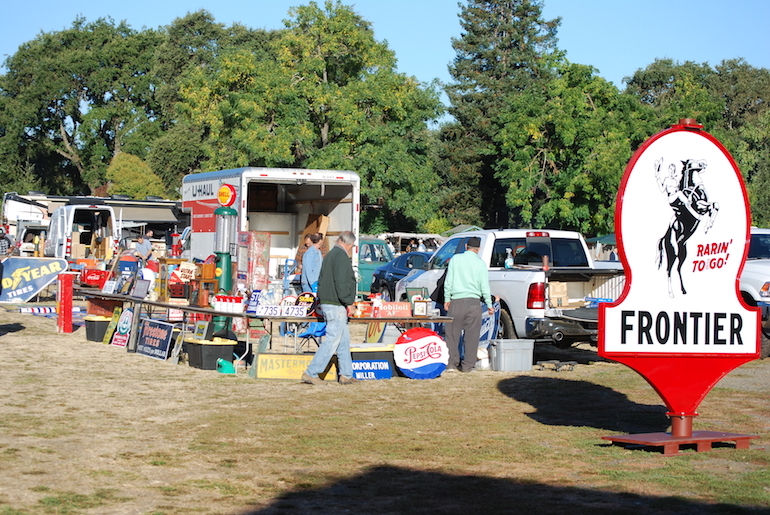 “Rarin’ to go!” … the old gas station Frontier sign welcomes visitors to 2018’s petroliana swapmeet in Santa Rosa. 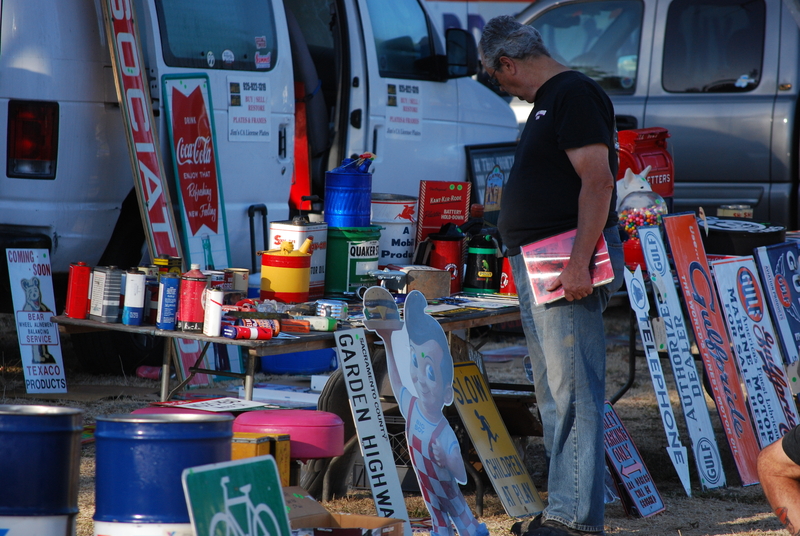 Acres of vendors with old gas pumps, oil signage, merchandising signs, and collectible oil containers. Many stayed overnight in RVs at Stoke’s Ranch in Santa Rosa. 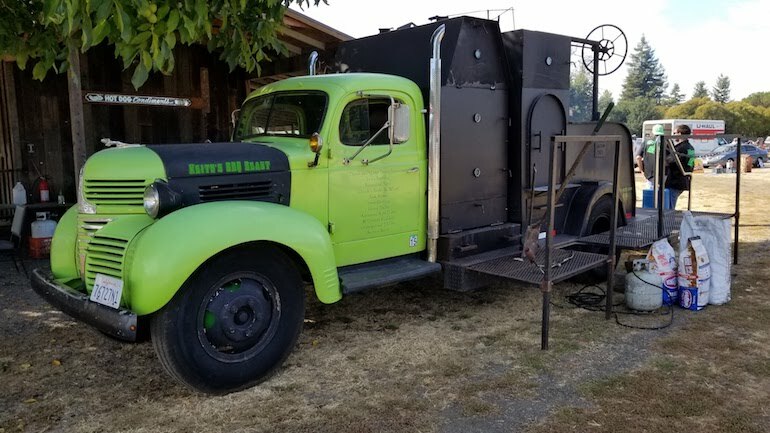 Keith’s BBQ Beast, a classic old Dodge truck was stoked up and offering BBQ breakfast and lunch to vendors and visitors at the 2018 Pacific Coast Gas Bash and Swap Meet 2018. So much to see and learn. 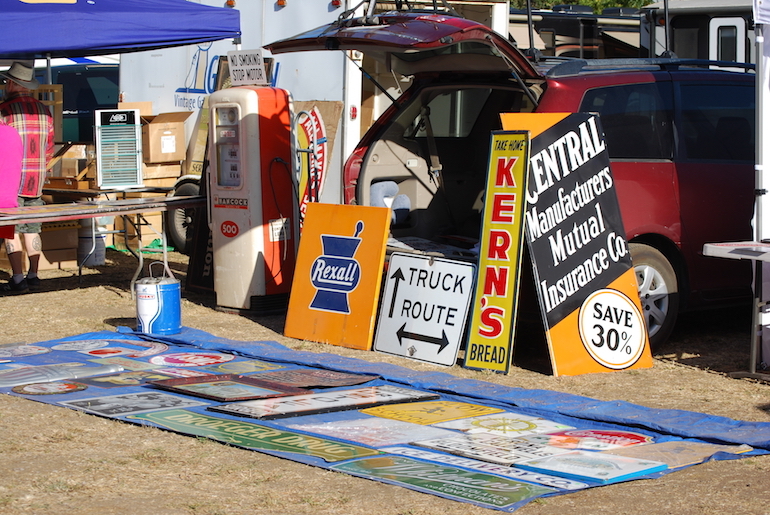 Picking through old gas signage, street signs, directional signs, and merchandising signs at the swapmeet on Friday. 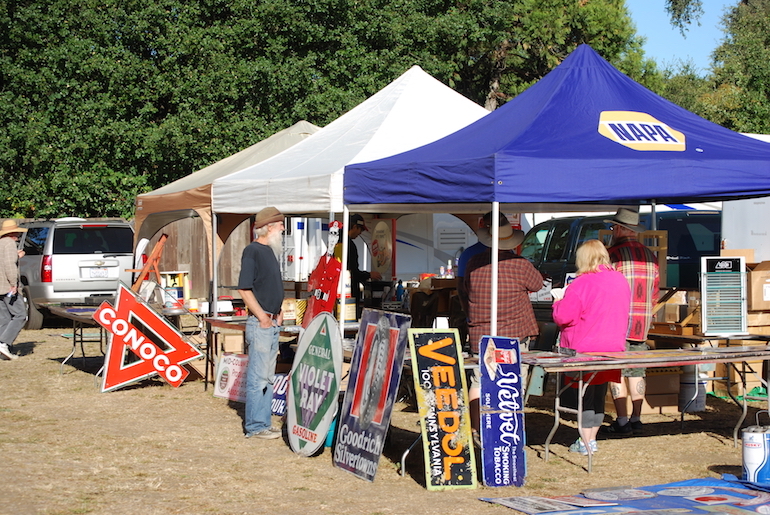 Vendors gather to meet friends amongst long lost gas station signage like Conoco, Violet Ray, and old Goodrich Silvertowns tires signs. Classic merchandise signage decorates this vendor’s stall along with a restored Hancock 500 gas pump. 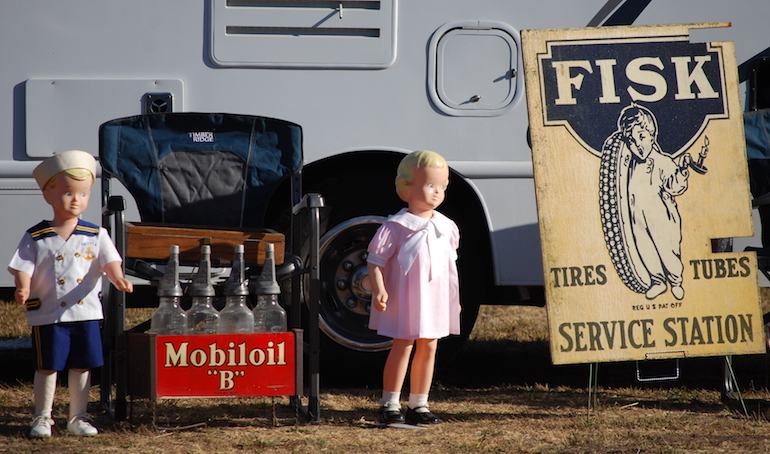 Old ‘Mobiloil “B”‘ oil bottle display with ‘Time to Retire’ Fisk tires and tubes service station sign captured by the morning light Friday at the Stoke’s Ranch in Santa Rosa. 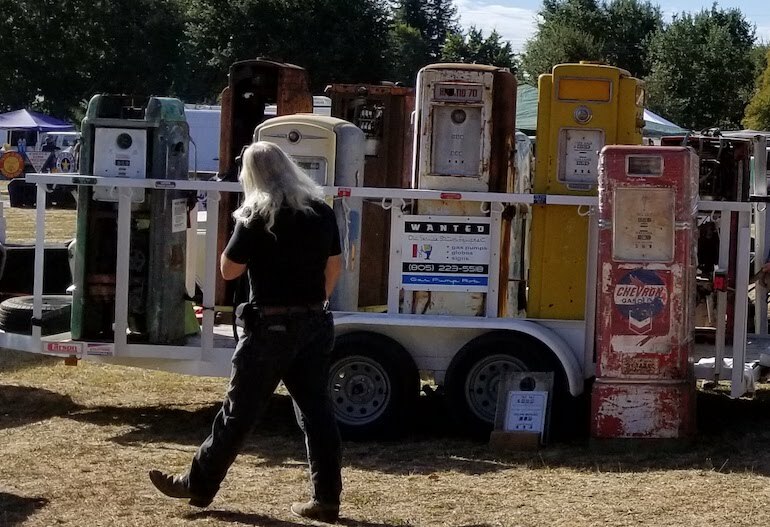 Classic old gas pumps on a trailer are being off-loaded for the petroliana swapmeet in Santa Rosa 2018. 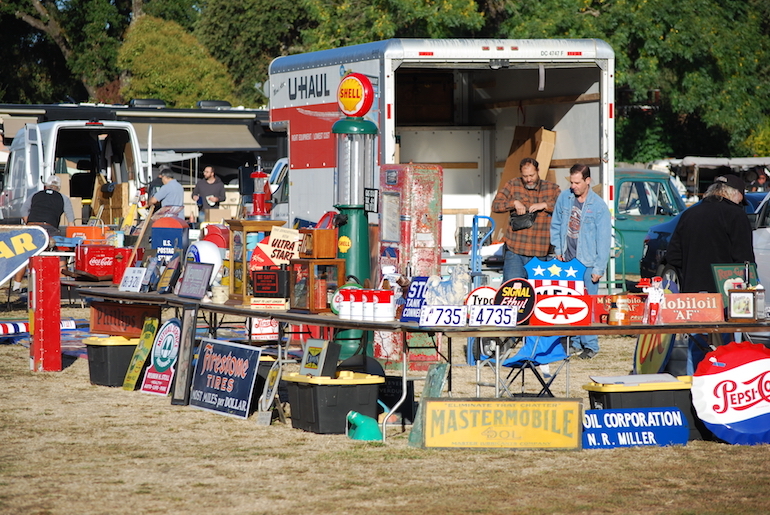 Vendors relax after the big unloading of old gas signs, old merchandising signs, and a vintage visible gas pump. 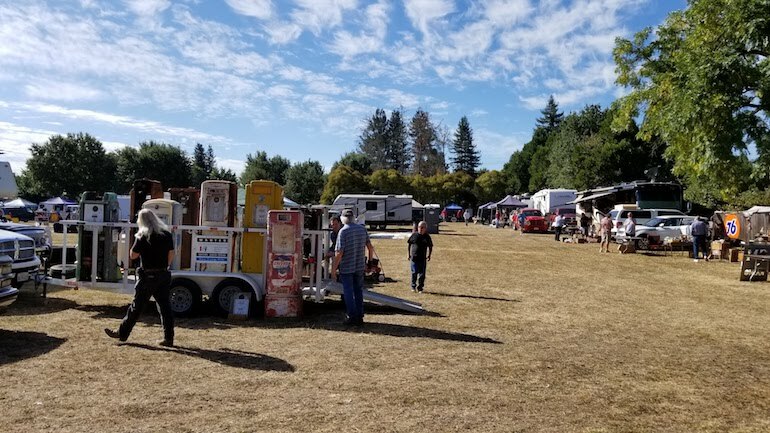 Main entrance of Fred Stoke’s Ranch, the venue for this year’s 2018 Pacific Coast Gas Bash and Swap Meet. 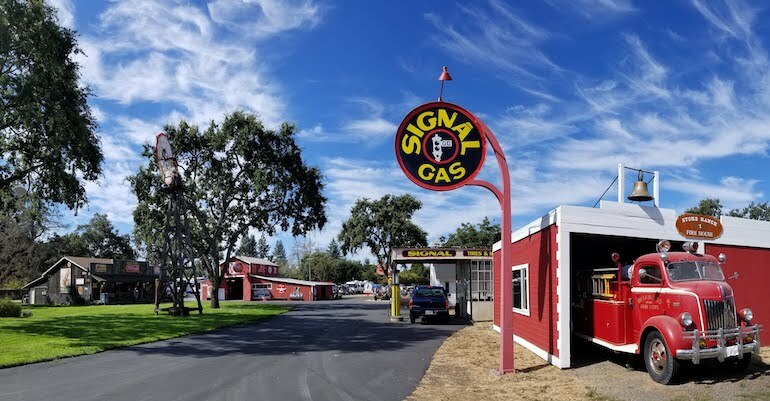 Fred has collected hundreds of large gas station signs and a complete vintage steel and glass gas station decorated as a ‘Signal Gas’ station. Visits to Stoke’s Ranch is by appointment only or during events. Fred prefers privacy when there are no events. 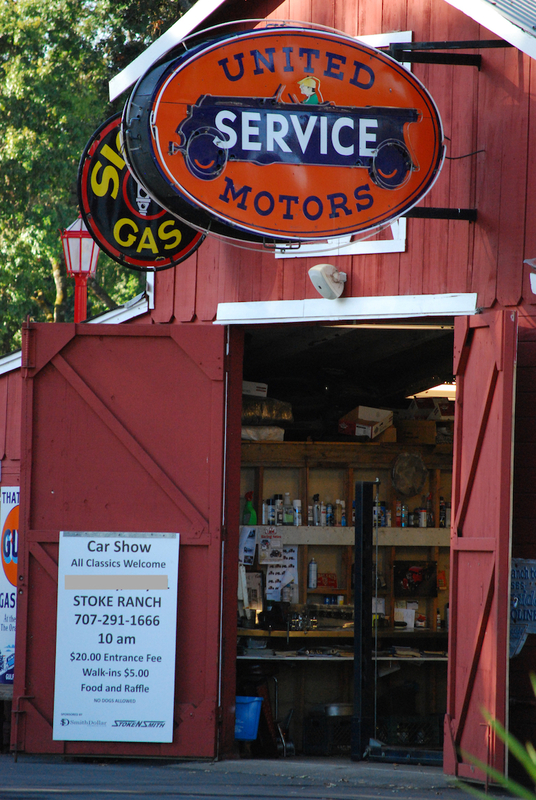 Stoke Ranch private workshop with fully restored and functioning United Motors Service neon sign.